When do you find plump, juicy figs bursting with flavor, all of them ripe in the box for only $2.99? 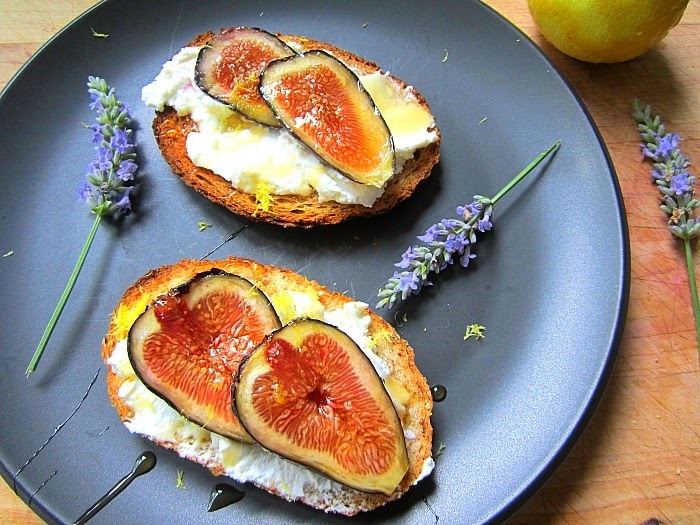 So when I did, I ran home with the figs and couldn't wait to spread them on whole grain toast with a swipe of fresh ricotta cheese, some lemon zest and a drizzle of honey. These are so good, they can even be served for dessert! This wins for my favorite summer lunch so far (as good as my tomato & Hellman's sandwiches!). Why all the fuss? They ARE so good that all I had to do with my box ($4.99 still a bargain 'cause they were all PERFECT!) is run home while popping figs into my mouth! I ate the a whole box yesterday, no sharing, and gonna make it my business to get another today. I want my figs STRAIGHT. Thanks again for introducing me to these little wonders, Ms. Snacks. 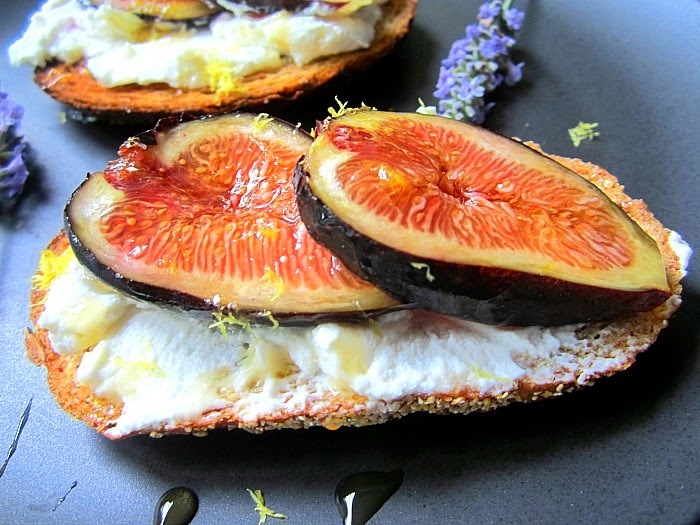 It was just a matter of time before some fig recipe appeared here. How did you find such perfect ones? My poor fig tree practically bit the dust from the harsh winter, but is springing back to life from the ground.